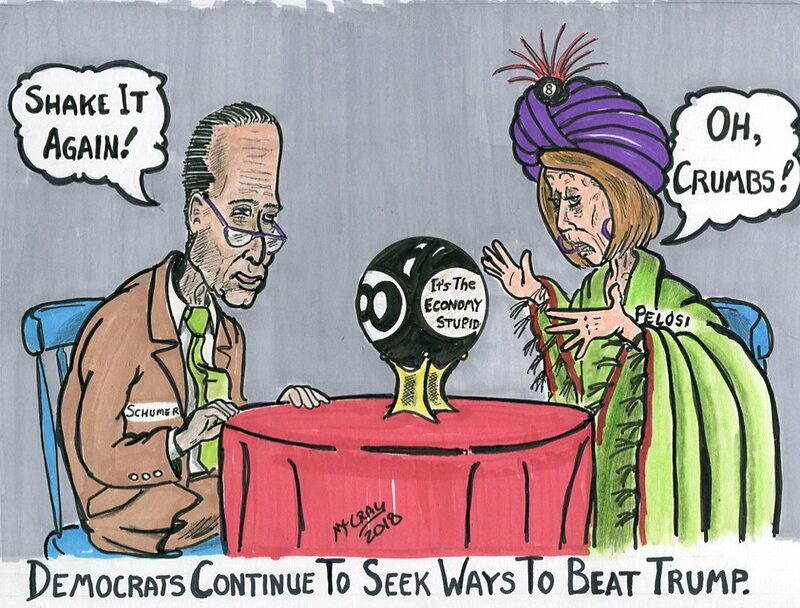 Grasping at straws and making outlandish claims against the Trump Administration and Republican Party is now the daily tactic of the Democrat’s Party. The political platform promoted by the Democrats so far seems to consist of their hatred for Donald Trump, and the abolishment of ICE. Their desire is for sanctuary cities, along with open borders allowing anyone to wander into the country at their will and become voting constituents of the Democrats. Nothing of any consequence or benefit for the nation and the American people has yet to be put forth by the Democrats. Just continued calls of Russia, Russia, Russia, collusion, and shrill screams for impeachment, simply because Trump was elected to the Presidency. The attacks by innuendo continue to stagger forward as the Witch Hunt conducted by the Grand Inquisitor, Robert Mueller, drags on without a case being made against President Donald Trump. Mueller’s investigation has degenerated into a sick game of trying to destroy anyone whoever walked within a country mile of Donald Trump. The message is one of intimidation for anyone who would work for the Trump Administration. Maybe, intimidation is their platform.